The Catholic Church in Australia was under inquiry by the Royal Commission into Institutional Responses to Child Sexual Abuse from 2013 to 2017, when a final report was issued. Similar to findings of the Pennsylvania grand jury in the United States, the Royal Commission brought to light instances of abuse, as well as cover-ups by bishops and religious superiors. “The dominant mood probably is a sense of bewilderment, really, because this is a crisis the like of which we haven’t faced in our history,” the archbishop said in a video interview with executive editor Tim Reidy. The impact of this investigation continues to be felt in Australia. Cardinal George Pell, who came under particular scrutiny by the Commission, is currently facing charges of sexual abuse, the highest-ranking Vatican official ever to be prosecuted. Archbishop Philip Wilson, the archbishop of Adelaide, was convicted of concealing sexual abuse this July. To Archbishop Coleridge, the Royal Commission with “its secular eye upon the life of the church was extraordinarily important and helpful,” but it “didn’t do God and couldn’t do God” the way the church now must. One issue that has come to the fore as a result of the revelations of sexual abuse is the seal of the confessional. Under Catholic teaching, a priest cannot report any information disclosed during the sacrament of reconciliation. As Archbishop Coleridge explained, right now in several Australian jurisdictions there are laws in place that require reporting, such that may make it impossible for priests to follow both church and state law. 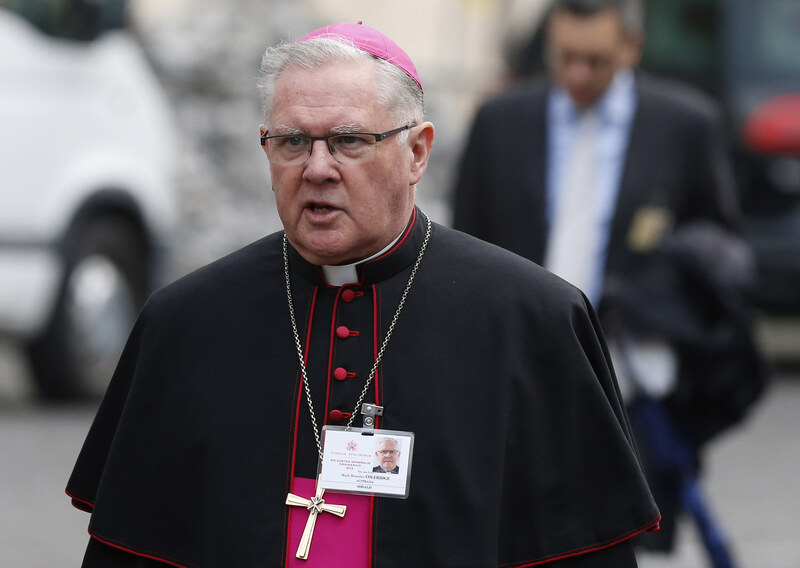 In Archbishop Coleridge’s eyes, there are many more effective ways to protect children from sexual abuse than changing church teaching about the seal or priestly celibacy, another issue the commission recommended the church to revisit. The archbishop stressed the importance of changing the church’s culture and listening to survivors. To that end, the church in Australia is calling a plenary council to begin in Adelaide in 2020. According to organizers, this council is “the highest formal gathering of all local churches in a country,” which while striving to hear the voices of lay people, “will actually determine church legislation in Australia.”. More or less what youve said is what's happenning. Screening processes are in place, the church undertaking police checks, working with children checks, any non-confessional reported instances of abuse will be reported as our law requires, etc. New rules are in place and education undertaken in seminary. Confessional seal still in place but children will be urged to go to police with a trusted adult (kids confessional is done in sight of another adult now) offenders will not be given absolution but directed to go to police (with support) and not given prayer or penance. Seal will remain in place - consider a child who needs to report their parent, and needs another trusted adult to tell. Lots of work ahead, no im not apologising for the church's scandals, but as a CSA survivor myself, and becoming catholic, im very interested in the way forward, and want to stay in touch with whats going on. Go google "ACBC royal commission response" and see for yourself, and take it up with your local church/diocese and see how they are changing. But church and pope really need to lead on this. The pastoral approach (waiting for the flock to come in) isnt good enough, the lost sheep are bleating for guidance. Time for some cloak and dagger dead drops, along with bishops opening the secrets box and being open with stuff. Ask Mark about whether he believes he should know if his priests or others are sexually active. He doesn't know and doesn't believe he has the right to know. Such a head in the sand attitude is hardly going to generate 'change'. Admittedly, he meant this about sexual activity (misconduct) with adults - the very issue that re-ignited the whole saga now occurring in the USA but seems to again be being swept under a plush but now very lumpy carpet. 1. How does the Church, in the face of this latest epoch of bad (human) behavior, continue to justify its claims to having a divine nature? 2. Alternatively, does the church have sufficient humility (and intelligence) to get real about its supposed divine nature? Going forward it seem to me that, after the passing of the current generations of believers, only the most credulous and unsophisticated sorts of people will continue to buy into the keystone Catholic doctrine, which is that it is a divine institution. Jesus is the model of humility and the best example of someone talking truth to power. A humble American is an oxymoron to many people in Europe who have a lot to do with tourists. Looks like a lot of your commentators agree it is unthinkable. Mark, do you even hear yourself or think about the concepts you just blurt out - a smaller 'purer' church. The only way Mark's church is smaller and purer is because all the hurt and disaffected people are no longer there muddying the waters. I and my family are 5 members who have walked away because we just couldn't cope with the last straw - we were abandoned by yours truly when I sought help to return to teaching after losing my job due to a breakdown brought on my clergy abuse. I have moved on, now, and away. I'm glad he's remaining positive.